Click the banner! Read 'em all! 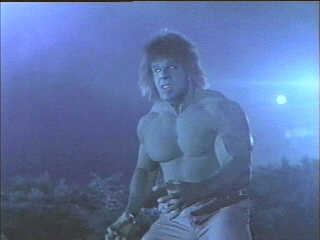 Growing up, I was always fascinated with the Incredible Hulk. I wasn’t an avid comic book collector, so most of my experience came from the televised work of Lou Ferrigno and Bill Bixby. It wasn’t Shakes peare, but it was a fun hour in front of the tube on any given Saturday afternoon. For those unfamiliar with Hulk basics, David Banner (Bixby) is a scientist who, while trying to unlock the hidden strength that all humans have, accidentally bombards himself with an overdose of gamma radiation (as opposed to an intentional overdose). Now, whenever hurt or just basically pissed off, David Banner turns into the Incredible Hulk (Ferrigno): a green monstrosity with almost limitless strength and a healing factor that won’t quit. There is, of course, a catch: David Banner loses all sense of reason when he’s the Hulk, and the Hulk, in turn, spends his limited time on Earth mostly breaking stuff, throwing bad guys into dumpsters, carrying around comely young women, and being hard on pants. After being accused of a murder he didn’t commit, David Banner goes on the la m. He travels the country looking for a cure, as well as an opportunity to clear his name. All the while he must evade both the authorities and an annoying reporter named Jack McGee who’s determined to reveal Banner’s dark secret (for fame, wealth, and all that other good stuff). 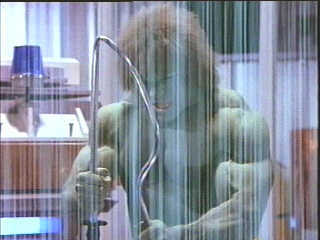 While entertaining, there is no denying the fact that “The Incredible Hulk” was a bit formulaic. David Banner, perpetual hitchhiker, would wander into some quaint out-of-the-way town, get a job and a love interest, bad guys would inevitably disrupt his newfound stasis, he’d get pissed or hurt, turn into the Hulk, toss said baddies into a nearby dumpster, and then it was back on the road again before the authorities showed up. Hey, I never said the show was genius. 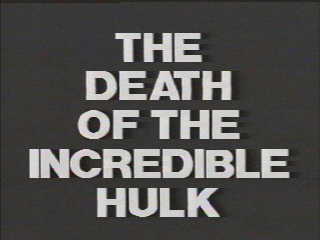 Brilliant or not, “The Incredible Hulk” nevertheless had successful TV run. And unlike other series with a cont inuing storyline, Bill Bixby was gracious enough to provide some closure (albeit a few years after the final episode.) The franchise’s last hurrah came in the form of four made-for-TV movies: The Incredible Hulk Returns, The Trial of the Incredible Hulk, Bar Mitzvah of the Incredible Hulk, and finally, The Death of the Incredible Hulk. Naturally, being made-for-TV, these movies were a far cry from fine cinema; but like the series from which they were spawned, all four films were fairly entertaining. The aforementioned closure came, obviously, with the aptly titled Death of the Incredible Hulk. Not one to stray from the tried-and-true formula, this installation also has David Banner holing up in a town du jour; this time working as a custodian at a top secret laboratory. He fakes being mentally-challenged, for then no one suspects him as the perpetrator who stealthily breaks into the lab every night and anonymously helps the resident scientist, Dr. Pratt, with his efforts in uncovering the secret which could lead to a cure for Banner’s affliction. Think along the lines of a Good Will Hulking. Anyway, through an act of sheer genius, Dr. Pratt quickly discovers the identity of his mystery assistant (simply put, he hides in the lab late one night and waits fo r Banner to show up). 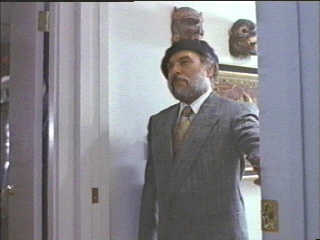 And despite David’s history of breaking and entering, the two scientists become friends. Together they strive to finish Pratt’s experiments and cure Banner once and for all. They make fast progress, but just as it looks like they are about to rid the world of the Incredible Hulk once and for all, a German (at least I think they were German) band of spies complicate matters by trying to steal Pratt’s work (in hopes of making the ultimate super soldier – who, in the words of the immortal Lugosi, will: “Take over the verld!”). David Banner soon finds himself in a dangerous predicament as he tries to protect his newfound friends, foil the dastardly Germans, save the experiment, and, of course, elude the Man who, as always, is hot on his trail. Though it’s not anything particularly special, I found The Death of the Incredible Hulk to be rather enjoyable. I attribute this mostly to childhood nostalgia and an affinity toward Bill Bixby. 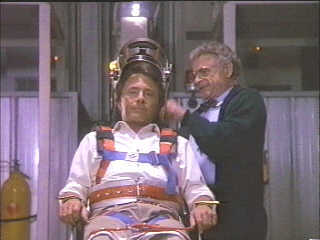 As I eluded to before, David Banner is the ultimate unlikely hero, and Bill Bixby plays the part to perfection. He just strikes me as an all-around normal guy constantly pushed into extraordinary situations. Basically, he’s an everyday schmuck like myself. Difference being, he turns superhuman whe n ticked off. I, on the other hand, simply whine profusely and feebly stamp my feet. Bixby didn’t have the looks of, say, Dirk Benedict. Nor did he have the physique of, say, Miles O’Keefe. He did, however, sport a flannel like none other. I swear the man had a flannel for every occasion. Of course, he must have to buy his clothes in bulk due to his bad habit of hulking out whenever he gets pissed at the neighbor for playing the stereo too loud or stubs his toe on the coffee table while bumbling through a dark house in search of a midnight snack. Hulk purists might complain that they totally disregard the existence of Jack McGee, but personally, I have no problem with it. I have always hated the guy. He was obnoxious. I understand that as an important character trait, but that doesn’t mean I have to like it. It could’ve been his smarminess that I found so annoying, but it probably has more to do with his theme song. Unfortunately, I can’t describe it here (I’m just not that good of a writer), but if you ever happen to run into me in person, just ask and I’ll be happy to hum it for you. Basically, when it comes to The Death of the Incredible Hulk, you get what you expect. If you followed the TV show, you get the same from the TV movie. The formula worked then, and it works now. They promise closure and you get it. There isn’t anything more final than death. The only gripe I have is with the title itself. In this writer’s humble opinion, it kinda gives everything away. How about something a little more vague? Hiatus of the Incredible Hulk, perhaps?